The Mercedes-AMG C 63 S is a performance car icon. MOTORSPORT is a numbers game, with results often decided by the narrowest of margins. For recent evidence, look at qualifying for the 2019 Australian Grand Prix, a thrilling affair. Mercedes-AMG's Valtteri Bottas broke the Albert Park circuit's lap record late in the session, only to be bested by one-tenth of a second as Lewis Hamilton claimed pole. The new Mercedes-AMG C 63 S gives owners a glimpse into the world of F1 with its advanced data collection and timing tech. Renowned as something of a brute, the machine is powered by a twin-turbocharged 4.0-litre V8 with 375kW of power and 700Nm of torque flowing to the rear wheels through a new nine-speed automatic transmission. Benz aimed to make the car a little easier to live with on the road by fitting softer suspension and active engine mounts. Those who dare to take their $160,900 sports sedan on a racetrack now benefit from a "track pace" smartphone app that links with the car's telemetry gear to allow drivers to review circuit data. Drivers can save any racetrack or favourite road within the system. This records steering, brake and throttle input, synching with your phone's video camera to record sophisticated data for further analysis. Set a target lap time and the car will let you know exactly how much faster or slower you are on any given lap. Unlike conventional stopwatches, live GPS-derived updates arrive every few metres, not only at the chequered flag. Australia's Supercars competitors call the constantly changing split the "delta" and it's something they use to milk the most from the race cars at every event. We tested the new machine on track at Sandown Raceway, near Melbourne. 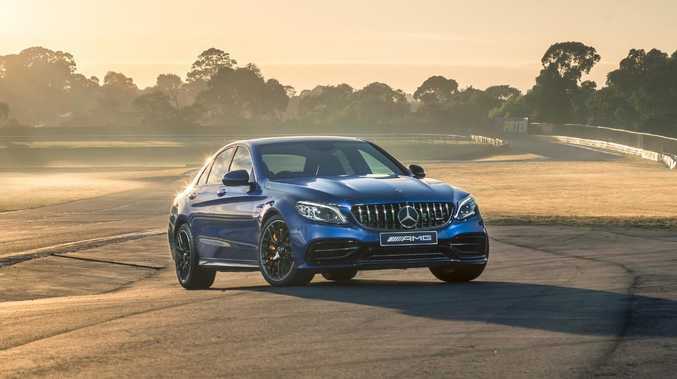 This Benz feels at home on track, with powerful brakes, sharp steering responses and a bottomless well of torque that shrinks straights in an alarming fashion. 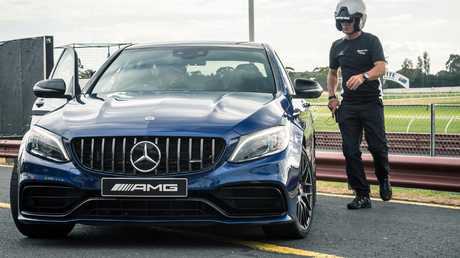 The Mercedes-AMG C 63 S feels at home at Sandown Raceway. Professional analysis of my laps is illuminating, if humbling. Having praised my smooth throttle applications, driving instructor Ben Porter reckons I should hit the brakes harder and turn into bends a little later, squaring them off to take advantage of the AMG's straight-line wallop. Adopting his advice shaves precious tenths from the stopwatch, allowing me to beat a conservative benchmark time set by professional racers. Another addition is a race-bred 10-stage traction control function, which requires drivers to disable electronic stability control before dialling in their desired level of traction assistance. 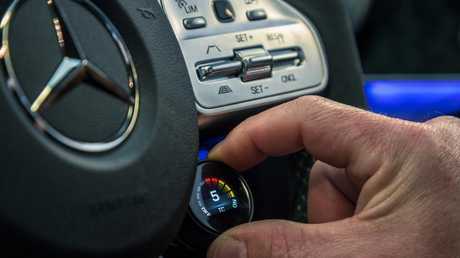 The new C 63 S gives drivers a chance to tailor traction control to prevailing conditions. 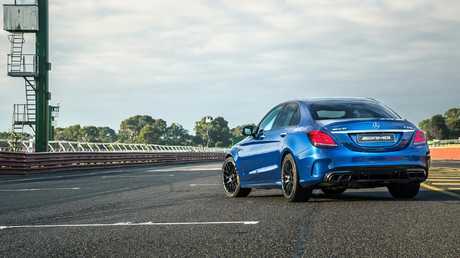 It enables them to sample more of the powerful AMG's thrilling rear-wheel drive character while retaining something of a safety net. The AMG feels immense when everything clicks, serving up performance and engagement to rival significantly more expensive supercars. Ultimately more rewarding than planted all-wheel drive rivals when pushed, the C 63 S is only too ready to remind you that true rewards can't come without risk. Mercedes-Benz driving instructors use sophisticated data to improve customer skills.